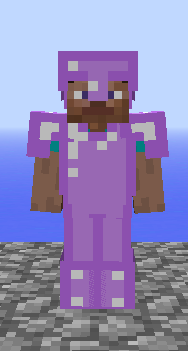 This is a small mod that adds the gem Amethyst, and allows you to make tools, armor etc with it. The ever-unobtainable refined amethyst. I could of sworn you told me you just needed to smelt amethysts to get them, but that didn't work. Well, we both knew this wasn't exactly the thing you were planning on making anyway. That's what you and I are working on at the moment. Voltacraft should be good. It will be when i get round to making it :p, im gonna make some smaller mods first. Aswell as our game ofc. This is just version 1. I hope to add Amethyst horse armor as soon as possible. And just let me know any ideas you have for this or future mods and i will be happy to try and add them.